Quickly quench their thirst with this custom tumbler – 24HR! 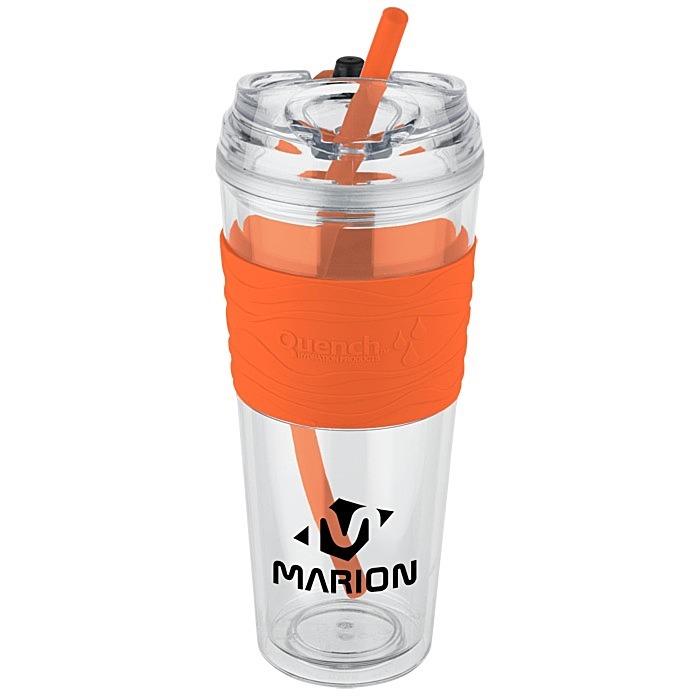 The lid system and double-wall insulation make this custom tumbler suitable for hot or cold liquids. The substantial dual-wall construction provides great insulation either way. With the silicone straw and flip-up drink-through opening, you can sip your drinks however you like. Wavy textured silicone grip provides both pizzazz and a good non-slip hold. The matching grip and straw are available in one of your choice of several juicy colors. The BPA-free ABS plastic (#7) can be recycled only in limited areas; check locally for more information. Your price includes a one-color imprint on one side of the tumbler.